A DoS vulnerability of ‘high severity’ is prompting an update of Node 4.x, 6.x, 7.x, and 8.x on, or just after, July 11. Need to deploy multiple Docker containers? Jatin Shridar looks at Kubernetes, a tool for automated deployment, scaling, and management of Docker containers. At last, know definitively which errors to fix and which to ignore. 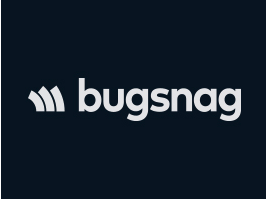 Bugsnag's precise filters help pinpoint errors directly impacting app quality. Used by the world's best engineering teams including Airbnb, Square, MailChimp, & others. Try it free. Version 3 of the popular Postgres-focused data access library is out and is now fully Promise-based. How to process and analyze large image datasets with async.queue. The estimated number of packages potentially reachable through dependency chains is 52%. Learn to build a web app where users can type in a city name and get real-time weather data instantly. How to use Prometheus - an open-source tool - for Node monitoring, and what kind of things you should monitor. A minor release fixing two bugs in the stream module. It’s in Buenos Aires over October 26-28. How to develop a feed with pagination using the amp-live-list component. Join Kent C. Dodds to master the latest tooling (like Jest Cypress) and techniques to test real-world React, Redux, and Node express apps. Get Your Next Node Job Faster. Get Access to 6,000 Companies.